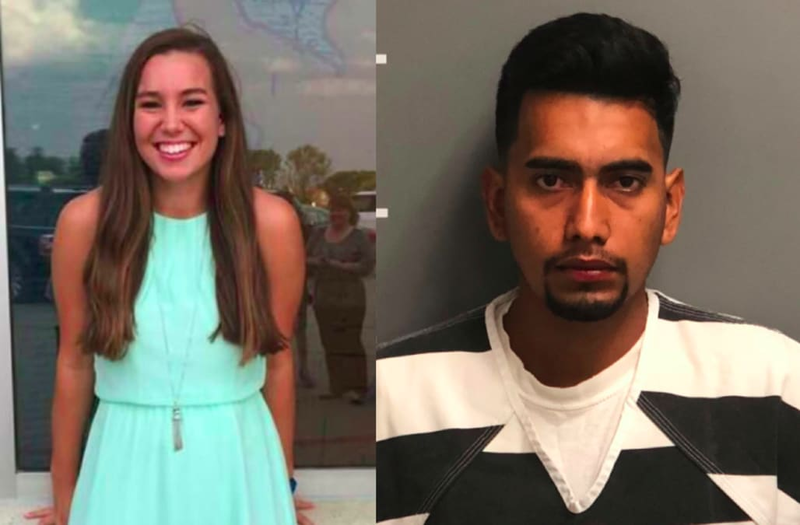 The aunt of Mollie Tibbetts, an Iowa college student who was found dead on Tuesday five weeks after she disappeared during a jog, took to Facebook with a uniting message after authorities confirmed her alleged killer was an undocumented immigrant. "Please remember, evil comes in EVERY color," Billie Jo Calderwood wrote in her moving post. "Our family has been blessed to be surrounded by love, friendship and support throughout this entire ordeal by friends from all different nations and races." "From the bottom of our hearts, thank you," she added. Cristhian Bahena Rivera, a 24-year-old who entered the United States illegally from Mexico, was arrested and charged with first-degree murder in the death of 20-year-old Tibbetts, whose July 18 disappearance set off a massive search and captured the attention of the nation. After investigators used surveillance footage to place Rivera's Chevy Malibu in the area where Tibbetts was believed to have been abducted from, the suspect led police to a field early on Aug. 21 where he had hidden her body under stalks of corn. Special agent Rick Rahn of the Iowa Division of Criminal Investigation said that Rivera was driving his truck on the evening Tibbetts went missing when he spotted her jogging. "I can't speak about the motive," Rahn told reporters. "I can just tell you that it seemed that he followed her, seemed to be drawn to her on that particular day, for whatever reason he chose to abduct her." The revelation of Rivera's immigration status sparked intense debate about U.S. border policies and the upcoming midterm elections. President Trump seized on Rivera's arrest on Tuesday during a rally in West Virginia, just hours after Tibbett's body was discovered.